It's that time again! It's time to start decorating for Christmas! I love this time of year and bringing Christmas into our home. We just got our tree last night. We decided to get a real one this year and we are so happy we did! It smells amazing! I have started putting up other Christmas decorations and I am having so much fun with it. We are in the middle of redoing our kitchen, so our house is a little chaotic right now. I have most of the decorations up but as soon as the kitchen is done I am putting the finishing touches on it all. We got a lot of new decor this year because we didn't have a lot from our apartment. I loved picking out new things and coming up with a design. Christmas decor can be pricey, especially if you get almost all new things like we did, so I decided to come up with a guide of festive but affordable Christmas decor. These items are perfect for a white and gold Christmas theme. The first three are from Hobby Lobby. 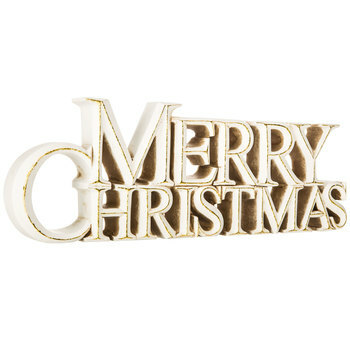 The glass tree is $7.00, the wood framed sign is $12.00 , and the "Merry Christmas" is $14.00. These next three are from Target. The star banner is $10.39, the white tree is $12.00, and the pillow is$15.99. I love all of these items and they really tie together for a beautiful white and gold themed Christmas. These next items would be perfect for a rustic Christmas theme. 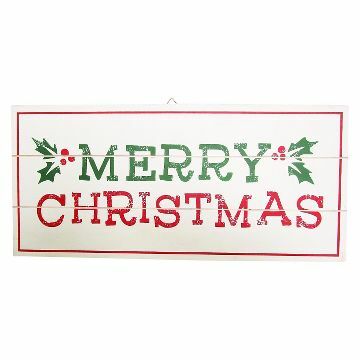 I love this "Merry Christmas" sign and it is only $10.00 from Target. 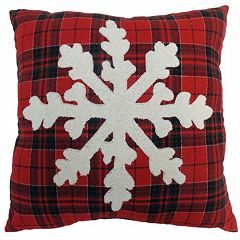 This first plaid pillow is also from Target and is $15.99 and the other two plaid pillows are from Kohls for $17.99 each. The banner is from Pier One for $19.96. I love both of these Christmas decor themes. It's fun to switch it up and do a different theme each year. Be on the lookout for sales too. I know Hobby Lobby has all Christmas decor 50% off right now. I hope you got some inspiration for your Christmas decorating. It doesn't have to break the bank to get the holiday look you want and there are so many options out there. If you would like help deciding how to tie your look together check out my e-design services. I have a sale going on right now on storyboards.